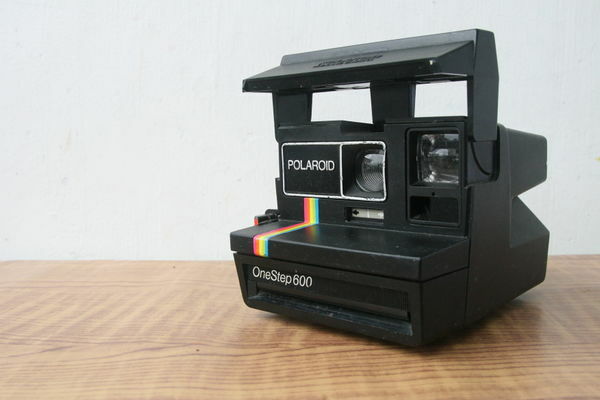 Polaroid 600 cameras are designed for ease of use, but they can be confusing until you get the hang of them. The process is simple: open the film pack, remove the foil, and load the film into the film compartment. Be very careful when handling 600 film. A rough touch can blur your photos! Keep the film in a cool, dark place so that it does not warp and deteriorate. Most pack film will last at least one year after its expiration date if kept cool in the dark – and that shelf life may extend for three years or more if you store your 600 film in the fridge. Take the film out of the fridge and let it warm up for about an hour before you load it into the camera. Do not freeze the film! This may damage the film and will not lengthen its shelf life. If you are using old, questionably-stored film with a long-past expiration date, be aware that your photos may or may not come out. It doesn't hurt to try loading the film, even if you aren't sure! Check the film specs on the back of the box to make sure that you're using a compatible product. SX-70 Polaroid film will not work with a 600-series camera, nor will Image/Spectra film. 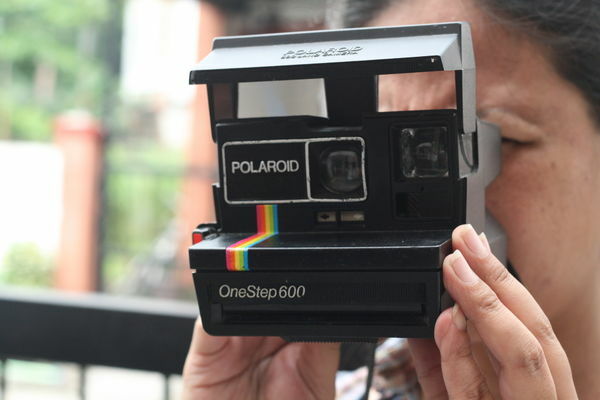 The Impossible Project is the only company currently manufacturing film for classic Polaroid cameras. Look for new 600 film under this brand. 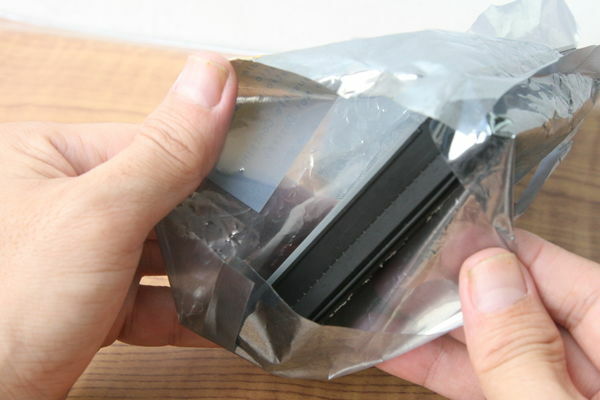 Remove the film cartridge from the box, and unwrap the sealed foil package. 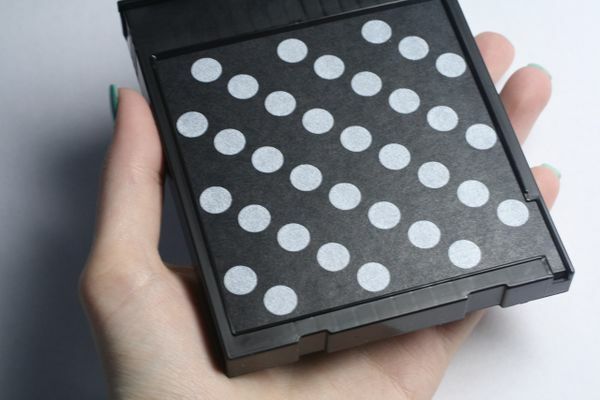 Hold the pack by the sides to avoid putting any pressure onto the film itself. Be careful not to touch the dark slide! Depending on what kind of film you're using and how it's packaged, this may require carefully tearing through several boxes and/or layers of foil. Putting pressure onto the film could ruin the photos before you even load the camera. Be gentle! The dark slide is the sheet that protects your film from premature exposure. It is the side of the film cartridge that does not feature metal contacts. Pull the switch on the side of the camera, below the red shutter button. This tab should pop open the bottom front flap of the device. Look for a slot where you can insert and remove film. 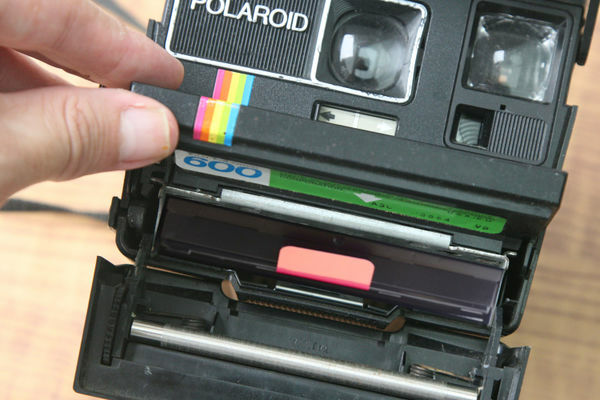 If you are using a classic Polaroid, then there may already be a cartridge of film loaded into the camera. If you care about preserving any photographs on the film, then remove the cartridge in a darkroom (or a pitch-black space) and immediately store it in a box or bag where it will not receive any exposure to UV light. If you don't care about the film, then you can simply pop out the old cartridge and throw it away. Hold it by the sides. Then, slide the film into the film compartment. The cartridge should slide in easily, and then pop securely into place. The metal contacts should be facing down, the dark slide should be facing up, and tab should be facing out of the camera slot toward you. Once the film is properly inserted, shut the film compartment to complete the loading process. The dark slide should automatically eject from the front of the camera. Once the dark slide has emerged, you are ready to begin shooting! Do not force it shut! 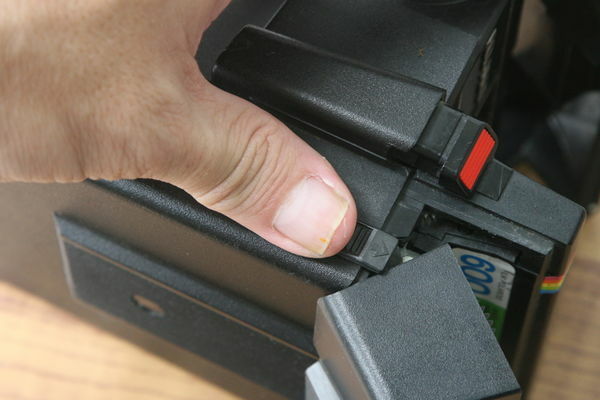 If you need to use force to close the compartment, then the cartridge isn't all the way in yet. Unnecessary force can damage your camera. Consider saving the dark slide. Use it to cover your pictures for several minutes when they come out of the camera to avoid damaging UV exposure. 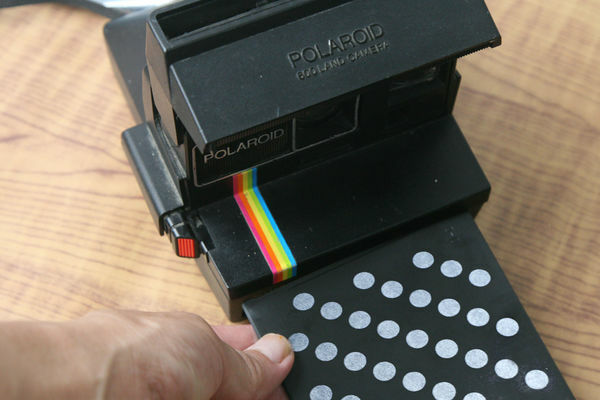 Press the red shutter button to take a picture with your Polaroid 600 camera. 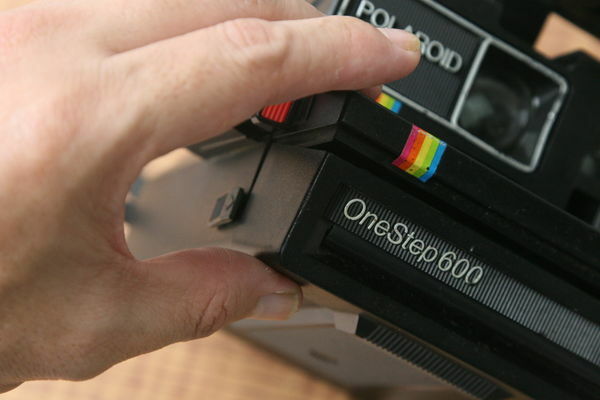 If you are using a OneStep instant camera: when the photos come out, make sure to immediately turn them face-down or place them inside a pitch-black container. If you are using any other Polaroid 600 device, make sure to pop out the film cartridge while you're in a darkroom or a pitch-black space in order to keep the pictures safe from harmful UV exposure.